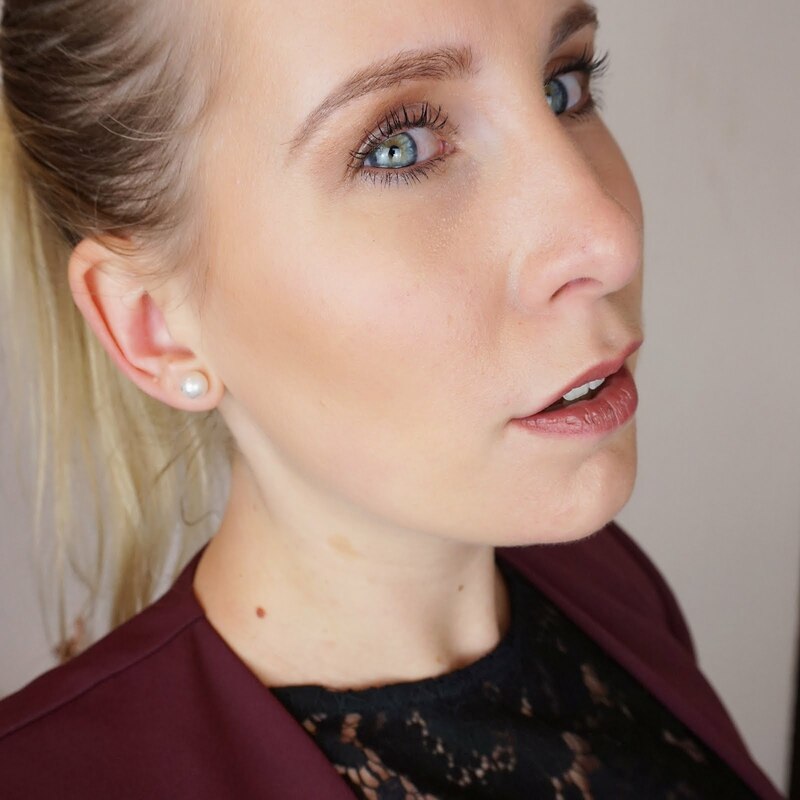 I can't believe it's only a couple of days until Christmas, and to be very honest I have been a terrible blogger as I haven't posted once so far this month! Time to change that! 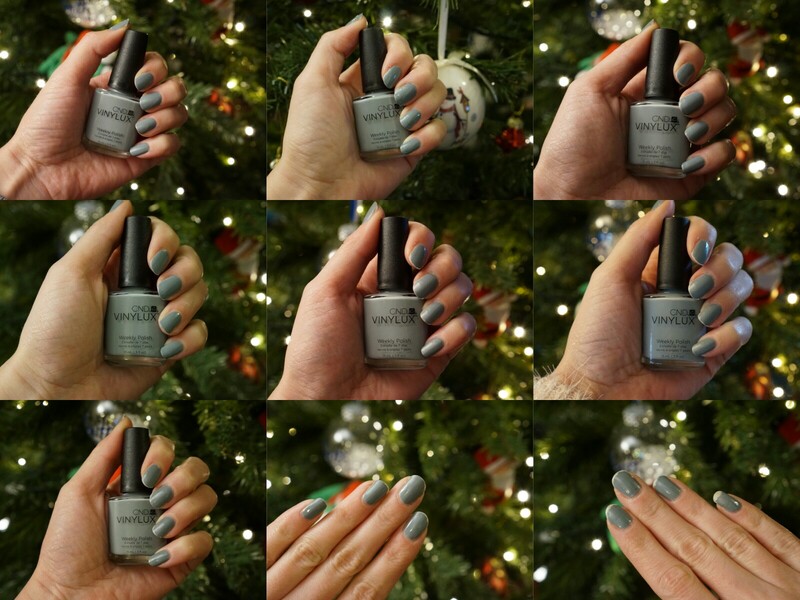 This post is all about that part of beauty I often forget to write about: nail polish. 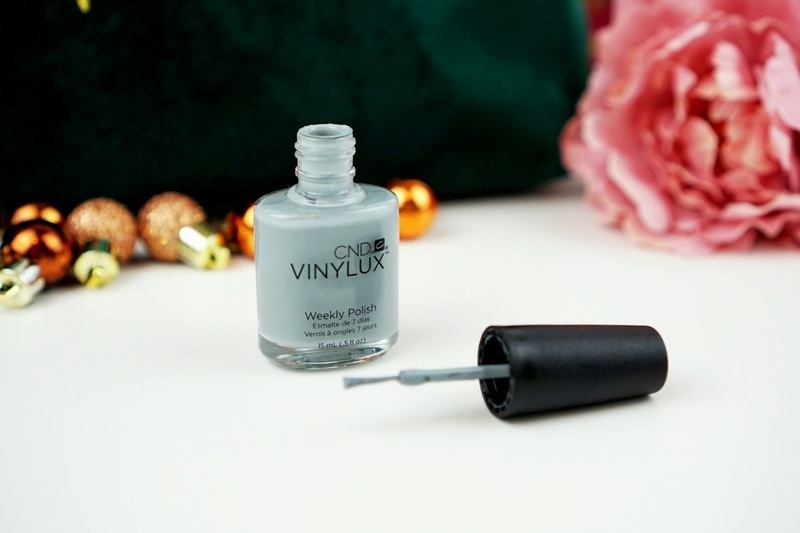 I have been testing the CND Vinylux Weekly Polish* with the Weekly Top Coat, a chip resistant nail polish that is meant to last 7 days on average. At least, that what it says on the label. How did it really perform? Does it live up to the expectations? CND, or Creative Nail Design, is an American brand that was founded in 1979, with the main aim to advance the nail care industry. CND has a wide range of nail polishes that include normal nail polish as well as Shellac polish which is cured by LED lights. 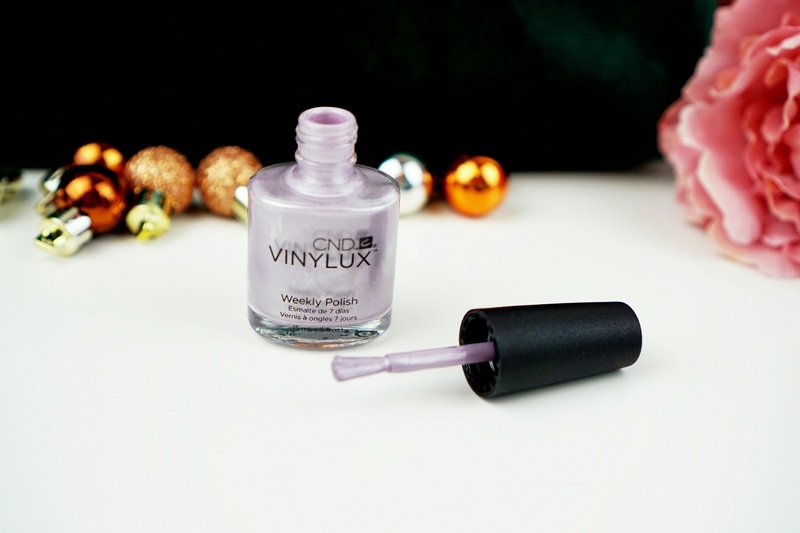 The Vinalux Weekly Polish is part of the normal nail polishes that can be removed with normal nail polish remover. It is a long-wear polish that contains Kerarin, Jojoba oil and Vitamin E, and comes in over 100 colours! 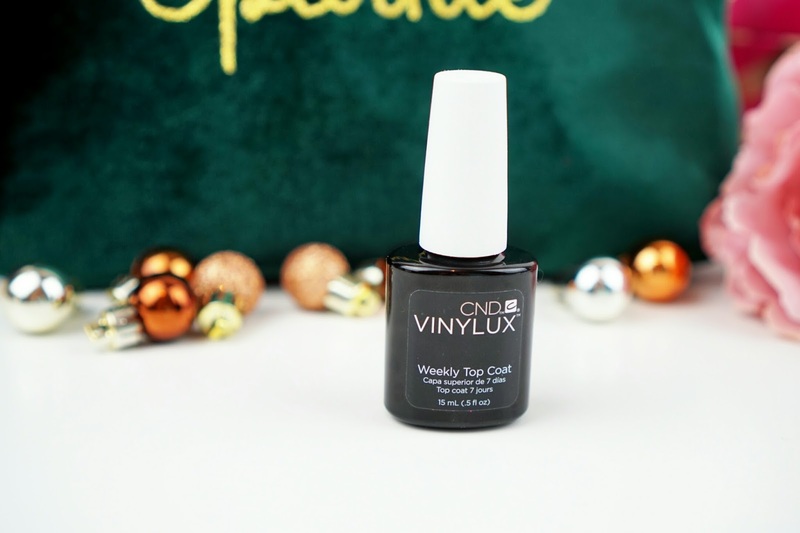 The colour I tried is Mystic Slate #258 with the Vinylux Weekly Top Coat. As per the instructions on the package, I prepped my nails and applied two coats of colour plus one coat of top coat. What I noticed straight away is how pigmented the colour is. One coat of colour already offered pretty good coverage. Another great thing about this polish is the brush. 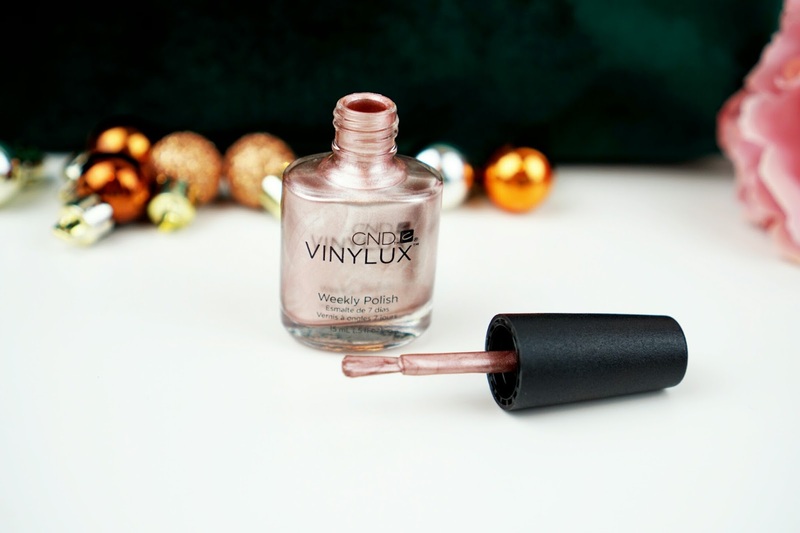 The brush has rounded edges which made the nail polish super easy and quick to apply. The drying time is pretty decent as well. I completed the whole thing on an evening in a couple of hours. Usually when I apply three coats of nail polish, I find it hard to get them to dry properly without messing up the third layer, but that's not a problem at all with this polish. The top coat dries quickly and hardens further in daylight. So I've been wearing the nail polish for seven days and I must say I am pretty impressed! As you can see from the pictures below, the polish was pretty much faultless during the first 5 days, with a tiny bit of chipping at the end of my nails towards the end of the week. To me this is an accomplishment because I usually manage to chip my nail polish within a couple of days! The nail polish started to chip a little more, but I am ok with that as it definitely lasts longer than any other normal polishes I've tried. I also found that is was ever so easy to remove this polish, which is great because sometimes it can be a real struggle with three coats. One final point is the colour. I am super impressed with the coverage of the colour polish. It pretty much gave my nails full coverage after just one coat. 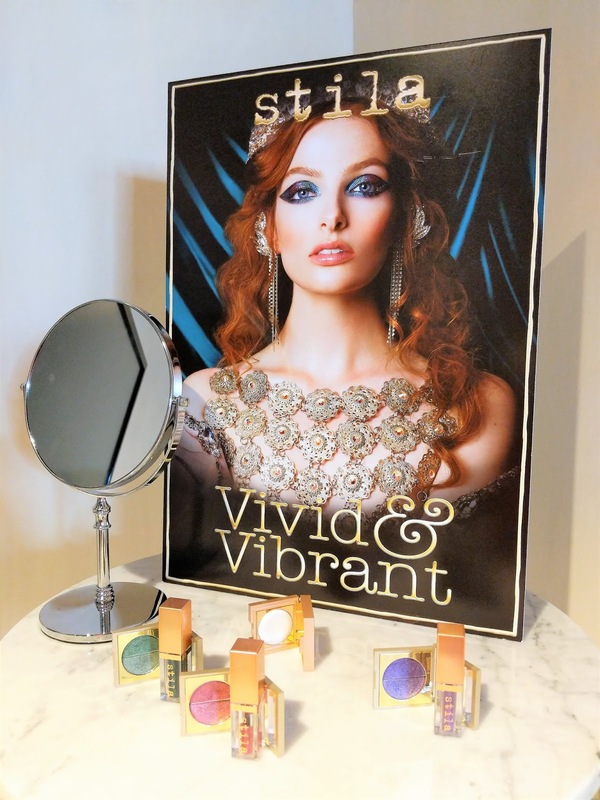 Overall I am super impressed and I cannot wait to try the other two shades: Alpine Plum #261 and Radiant Chill #260.